Hi Y’all! Today I have something for all of you lovers of western historical, and Indian lore. The brush wickiup quivered with the activity of too many excited women stuffed into its narrow confines. The women’s best celebration clothing rustled when they moved, bright loose shirts of stolen Spanish cloth rippling over buckskin skirts made from two pieces of swaying fringed leather. Some wore dangling headpieces of looped shell, others gold eardrops or nose rings, and most sported layer upon layer of beaded bone necklaces. Female sisters and cousins of the bridegroom, they’d dressed to honor Kayitah, renowned Apache warrior, on his wedding day. But none of them outshone the bride. Unruly tumble of black curls adorned with so many beads she could barely lift her head, Lame Wolf gazed about at her new family in fear and consternation. The white stripe down the middle of her hair didn’t seem to deter these Apache women at all. None of them treated her with the fear and aversion she’d come to expect while living among the band that raised her. Kayitah’s female relatives had descended on her like a swarm of whirring grasshoppers this morning, and she—unused to so much attention and easy acceptance—shied from their over-familiar touch as they discarded her old clothes and then dressed her in the softest, finest yellow doeskin she’d ever seen. Across the swept dirt floor of the wickiup sat Kayitah’s mother, Alope, loftily supervising the proceedings. Alope had made the yellow dress with her own hands, from five blacktail doeskins. One doe tail hung from the hem in back, and Alope had painted on its breast with her own hands the symbols of the morning star, the crescent moon, the sun circle and the rainbow arc. Alope had paid a singer for the two months of prayers sung over the dress, asking for the blessings of the spirits on the wearer and her new husband. Alope had done all this in welcome to her new daughter and out of respect to her son’s choice of wife, even if Lame Wolf didn’t for a moment believe Alope actually liked her. Kayitah’s aunt, his dead father’s sister, stepped forward to paint Lame Wolf’s cheeks with sacred pollen. Lame Wolf tried to repress a shiver in response. They honored her too much, trying to combine the puberty ceremony she’d never had with her wedding to their esteemed relative. They tried to elevate her to Kayitah’s level in the clan, but too fast for Lame Wolf’s comfort. Lame Wolf wanted to protest. She couldn’t marry Kayitah. At nearly twenty-two winters, she was too old: Apache girls married soon after their first menstruation, at twelve or thirteen. She was too poor: a captured Spanish slave, she’d never been formally adopted into the band and had no property and no family of her own. She was unworthy: she still hadn’t fully accepted Apache ways and beliefs and customs. 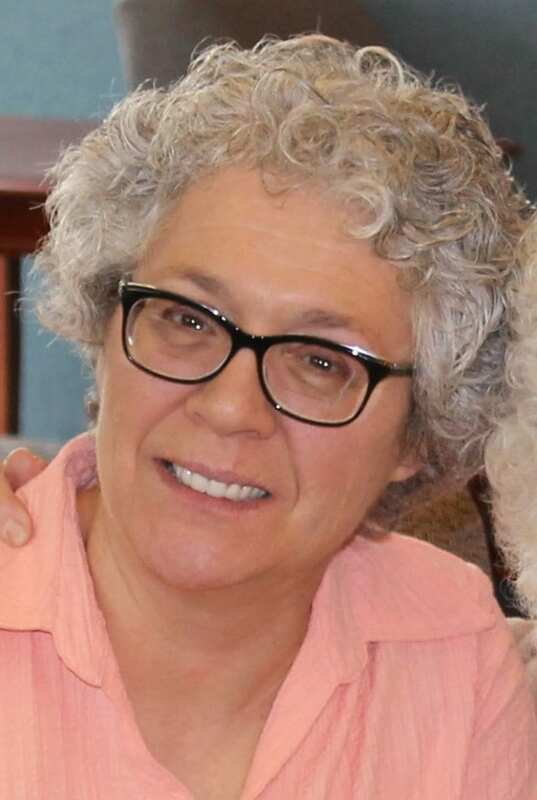 In her heart, Lame Wolf remained Isobel Ochoa Ramírez de Santiago, granddaughter of a rich New Mexico hacendado. In her secret heart of hearts, Lame Wolf burned to return to that civilized life and leave far behind her experiences as an unwanted captive slave girl. She’d lived too many oppressive years with the dream of escape. How could she marry Kayitah now, settle down and raise his children, and give up forever the desire to go back? Two peoples, two cultures, two clashing ways of life. Lame Wolf stood squarely in the middle, on the verge of teetering irredeemably toward the Apaches if she married Kayitah. The plot and character descriptions instantly grabbed me. already forwarded info about Ms. Williams to my sister. Thanks for featuring her, Cathy! Thank’s Tricia! Let me know what your sister thinks! 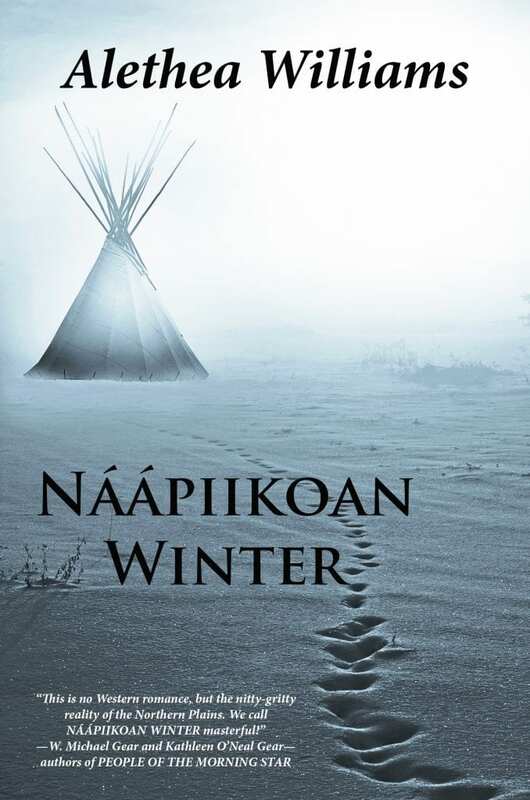 Cathy, thank you so much for featuring Naapiikoan Winter on your blog today! Althea’s book sounds intriguing to say the least. I have added it to my tbr. Best of luck to the author!